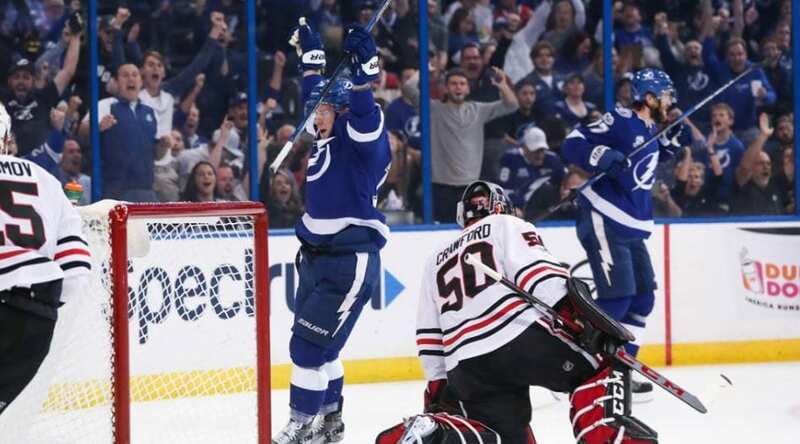 It wasn’t what you would call a picturesque beginning for the Bolts- Tampa Bay Lightning, but in the end, it was a win on opening night for the Bolts-Tampa Bay Lightning against the in-state rival Florida Panthers. The 2-1 shootout victory last Saturday gave the Lightning two points in the standings and a win against a division opponent. It also gave the team something to work on before hosting games this week against Vancouver and Columbus. “They’re not all going to be pretty, but we’ll take it, move on until our next game,” Lightning head coach Jon Cooper said. The Bolts offense may not have been hitting on all cylinders last Saturday, but the defense more than held its own against a team that brought back five players that accounted for at least 50 points last season. Despite surrendering 16 shots in the opening period of play, the Bolts only allowed one goal. Tampa’s defense also showed major improvement on the penalty kill, a unit that had its share of struggles last season killed off five Florida power plays, three of which came in the third period. Even more impressive is the fact that Tampa’s lone goal came while short-handed, as Anthony Cirelli netted his first goal of the season to tie the contest 1-1 in the third period. What the defense couldn’t handle, goalie Andrei Vasilevskiy was there to clean up, making 42 saves on the night. He also held Florida at bay well enough in the shootout to allow Nikita Kucherov an opportunity to fire home the game winner. 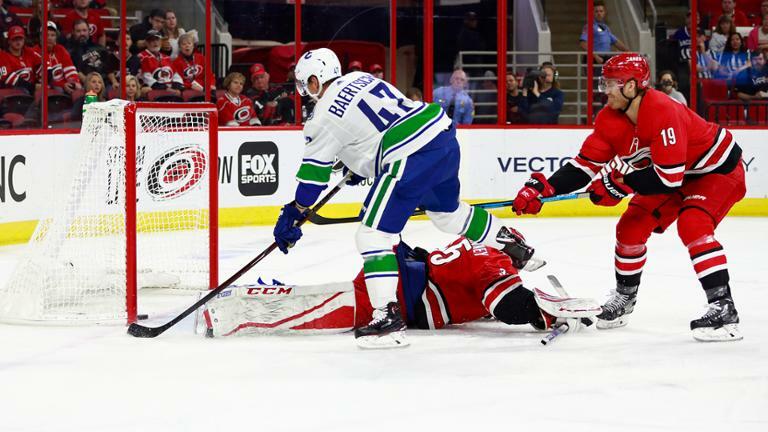 Long removed from being a perennial contender in the Western Conference, the Vancouver Canucks come to Amalie Arena still in the midst of a rebuilding campaign. After a 5-3 win against Calgary to open the season, Vancouver took to the road for the first of six straight road games last Saturday night. That trip opened in Calgary where the Flames exacted some revenge on Vancouver with a 7-4 win, before continuing on Tuesday in Carolina, where the Canucks fell 5-3 to the Hurricanes. Elias Petterson, a 19-year-old rookie, is leading the way thus far for Vancouver. The Swedish center has registered a point in all three games this season and leads the team with six points. On the other hand, last year’s rooking sensation, Brock Boeser, is off to a slow start. He has registered only one point in the team’s first three games and is a minus 7 overall in the plus/minus category. Led by former Bolts-Lightning coach John Tortorella, Columbus was one of the hottest teams in the league mid-way through the 2017-18 season. That hot streak, however, ended too soon and the Blue Jackets exited the playoffs in the first round. After dropping an overtime contest to Detroit to open this season, the Blue Jackets rebounded with two straight wins and will take on Florida before heading to Tampa to complete a quick, two-game road trip through the Sunshine State. Six different players tallied a goal for the Blue Jackets in the first three games. Nick Foligno led the attack, scoring two goals and assisting on two more in the team’s first three games. Tampa’s five-game homestand to open the season continues next week when the Bolts host Carolina (Oct. 16) and Detroit (Oct. 18). The puck drops on both games at 7:30 p.m.